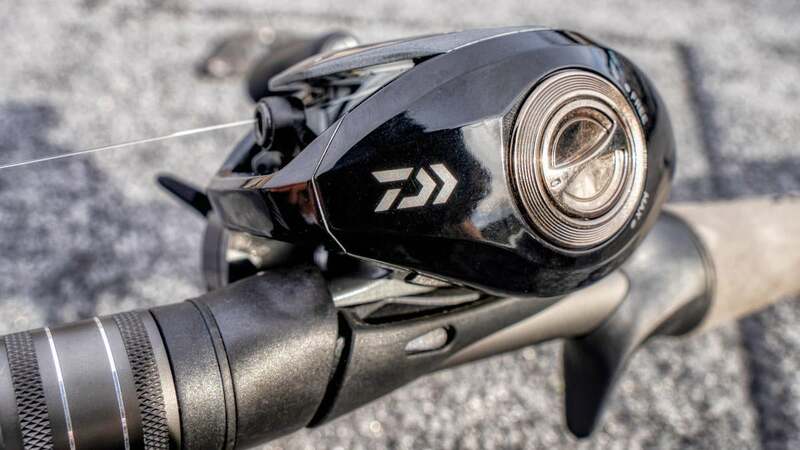 A quick look at the new Daiwa budget baitcaster loaded with features and lightweight, smooth operation for anglers who want to avoid breaking the bank. 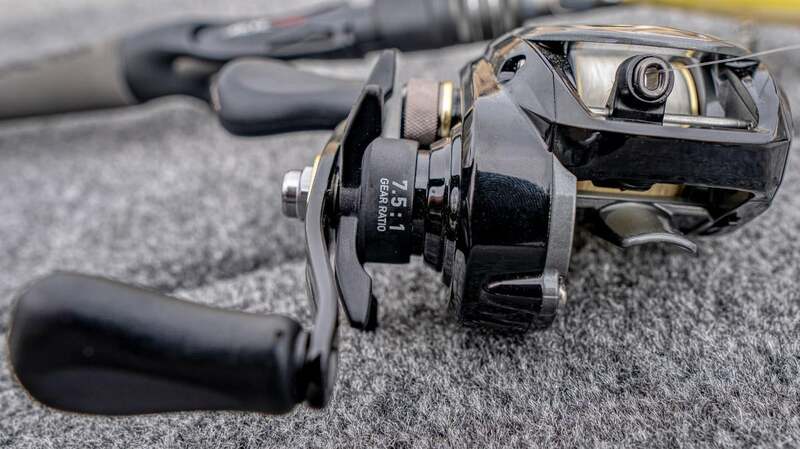 The Daiwa CR80 is an ultra low-profile baitcaster reel. It's name comes from the fact that it's actually smaller than most 100 size baitcasters. This is an 80 size baitcaster. But it's packed with solid features. It uses lightweight construction, 7+1 ball bearings, adjustable magnetic braking, good line capacity, smooth operation, 15-pounds of drag, soft but solid handles and palmability for a full day of fishing in comfort in a compact package. The handle is 90 mm swept handle with rubber paddles. The reel's low profile makes it very comfortable to fish all day. The braking system is good. It's a very adjustable reel. I've been able to fish really light weight lures down to 3/16 ounce and I've fished baits to 1 ounce on it as well. You can get it dialed in easily and perfectly for all the different baits you might want to throw with it. 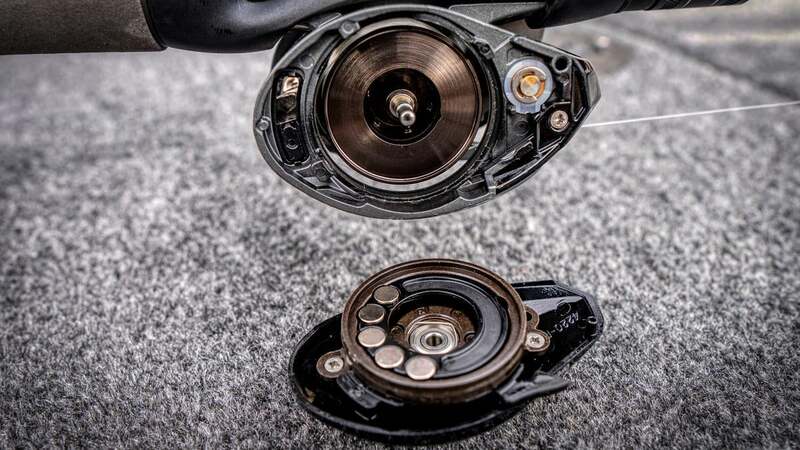 Some reels at lower price points can be a little finicky to get dialed perfectly. That has not been my experience with the CR80. 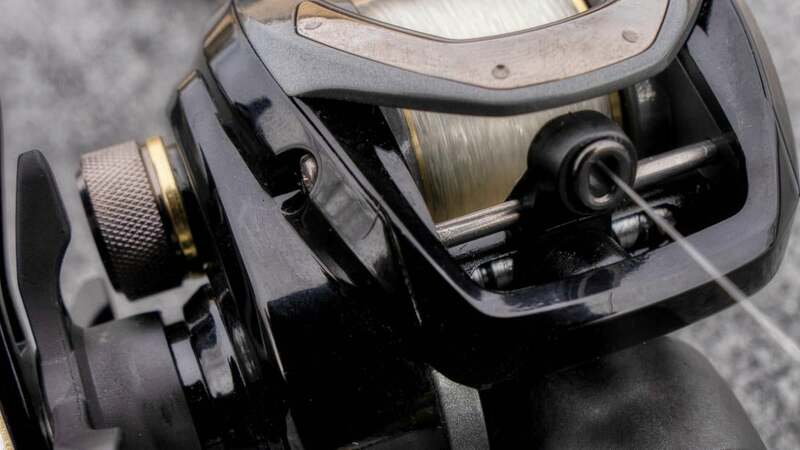 Daiwa has a long reputation of building really good low cost equipment and it's coming back in this new line of affordable reels. The spool on the CR80 holds 120 yards of 12 pound monofilament or fluorocarbon lines. It's a good size reel for your average bass fishing lures. I've thrown a bunch of different 12 to 15 pound lines on it the last few months. It is a very smooth spinning spool and it casts and retrieves effortlessly. The smooth operation impressed me. The reel feels very light and it's fairly obvious there is a lot of composite material in the plastic. But it doesn't fish rough like a lot of similar composite framed and side plated reels at this price point. It feels very tight and smooth. No grinding after months of use. I think a lot of anglers are going to be switching to this price point reel. The reel seats firmly in the rod's reel seat. The reel foot on the CR80 is solid. Again another part of lower price point reels that can be a concern is reel foots that flex. 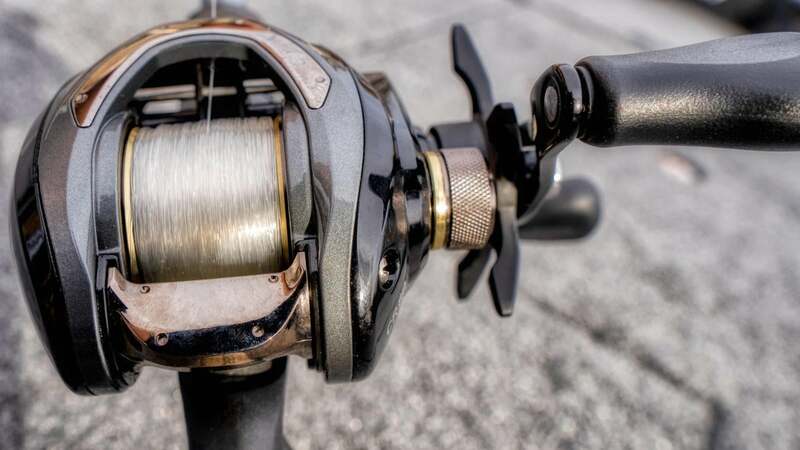 The reel foot on this reel is solid and has held up well and one of the parts that I think makes this reel feel a little more solid than its price point would make most guys think about a composite reel. 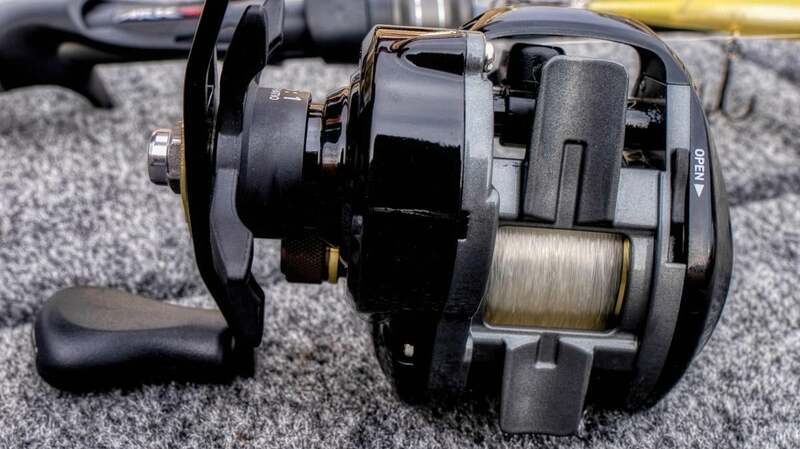 The Daiwa CR80 reel has solid components throughout. 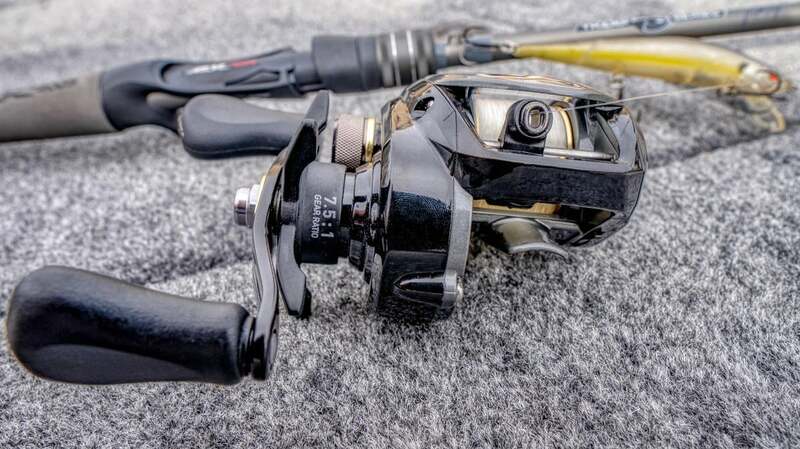 The spool, the handle, the braking system, and the 15-pound drag system are all solid. The reel can take up 29.7 inches of line a turn on the HS models. It comes in 3 models a 6.8:1 and a 7.5:1 in right hand and a 7.5:1 in left hand. I was a little skeptical of an $80 reel being a solid performer, but this is one of the better reels I've ever seen at this price point. I think a lot of anglers will add several of these reels and this will be a big hit for Daiwa. Add it to a $120 Ark Tharp Series rod and you got a solid smooth lightweight combo for $200. 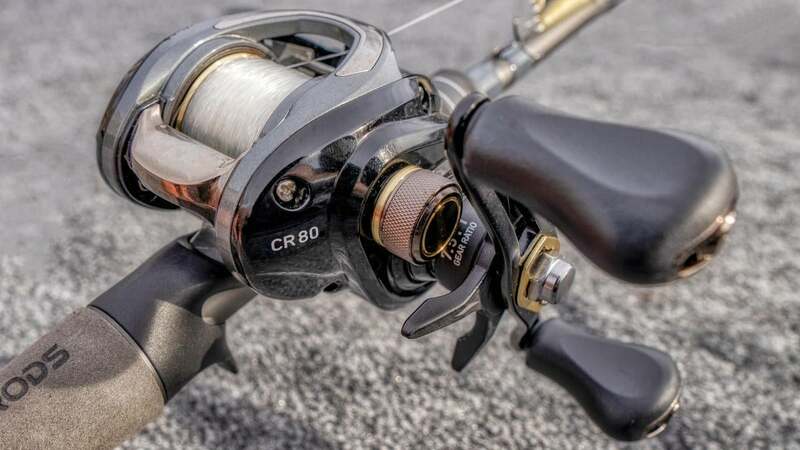 Check out the Daiwa CR80 at TackleWarehouse.com, Daiwa.com and wherever Daiwa reels are sold.